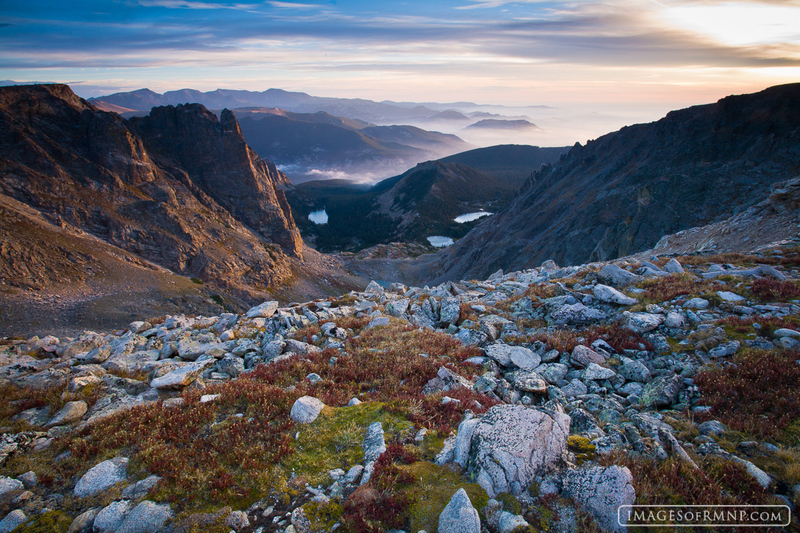 A view from Flattop Mountain looking northeast about twenty minutes after sunrise. It is autumn and the tundra grasses are beginning to take on their autumn colors. Below are Odessa, Helene and Two Rivers lakes while beyond the hills are covered in fog. Photo © copyright by Erik Stensland.